With detailed proposals for redeveloping the western 17 acres of the Balboa Reservoir site, which is currently a 1,000-space parking lot under the jurisdiction of the San Francisco Public Utilities Commission, due in four weeks time, the deadline for the final three development teams to have asked the City to clarify the parameters of the project has passed without a single question being submitted. 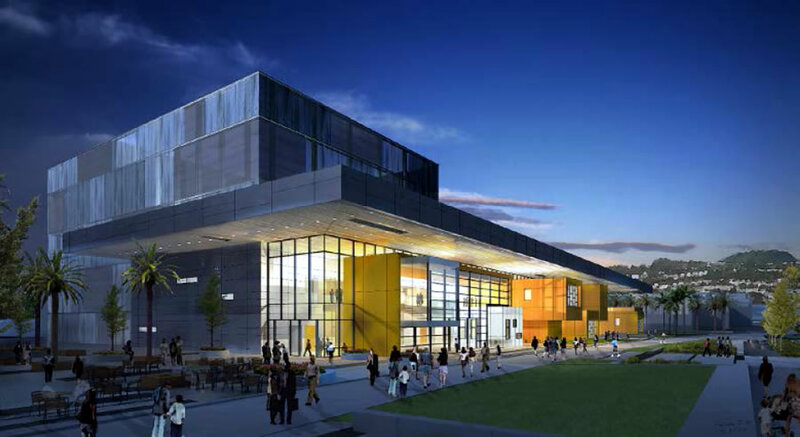 But numerous questions have been directed to City College of San Francisco (CCSF), a representative of which will sit on the evaluation panel for the final three proposals, as to the timing of construction of CCSF’s proposed Performing Arts Education Center (PAEC) and garage structures to rise on the eastern portion of the reservoir site. 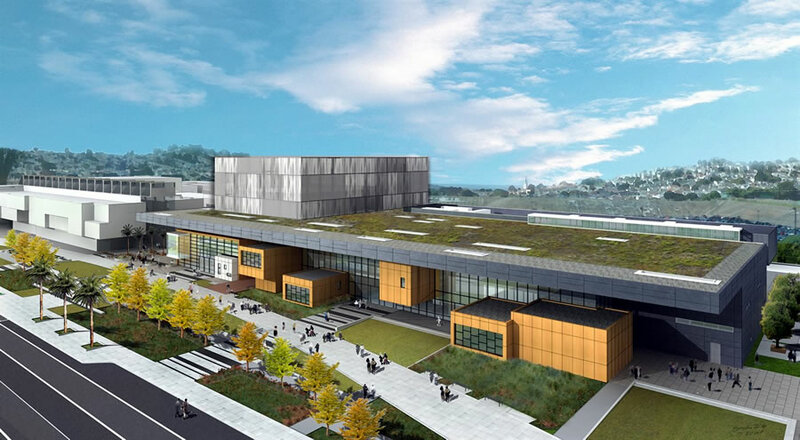 CCSF is currently $120 million short of estimated $160 million needed to fund the PAEC but remains hopeful that grant from the California Community Colleges’ Capital Outlay Program could allow the project to break ground as early as mid-2020, a schedule that could be accelerated if CCSF is successful in securing alternate funding or delayed if the Capital Outlay Program grant falls through. “CCSF has enjoyed use of the Balboa Reservoir site for 1,004 parking spaces for decades, and although CCSF utilizes the parking under a fully-revocable license from the SFPUC, many now perceive it as an extension of CCSF’s campus. CCSF is only master planning potential sites for parking structures on campus land due to the potential loss of the Balboa Reservoir parking. Very ballsy. Well, at least we now know that the NIMBYs will have a powerful ally when they go before planning and the courts to try to keep it a parking lot for environmental reasons. Per the City’s Transit-First Policy, no students or faculty should be driving cars to City College. They should be taking public transit, biking or walking. There is absolutely no justification to continue accommodate and incentivize car-centric development — nor to waste valuable land for “housing” cars rather than people. Oh and additionally, haven’t we figured out yet that CCSF continues to be horribly mis-managed? 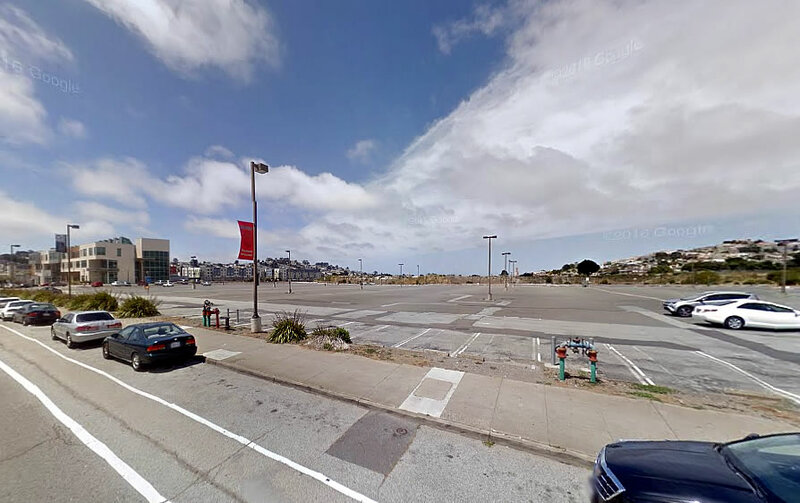 The eastern side of [CCSF’s campus] along the freeway offers a better opportunity for stacked parking and an off-ramp directly into the campus vs onto ocean and Phelan Ave. There could be housing and amenities built on top and there is sufficient space to even build on the SE corner a connector over the freeway and into the long pedestrian entrance to the north side of balboa park station. 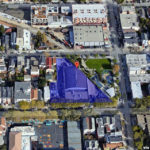 ALL parties bear responsibility for the needed parking structure that should be built for students/faculty/staff and the SF Muni and BART employees that park on the side street along side ocean ave and San Jose ave. Lick Wilmerding should also contribute as they too have parking and traffic impacts. The PAEC should be built as designed by TEF architects and the need to address parking issues and impacts of the Balboa Reservoir are equitably to be considered in terms of co-funds from that development and its transit impacts on ocean ave.
CCSF should note the impacts of a similar masterplan at SFSU-CSU where eliminating their garage with little public transit system or parking improvement and relying on neighborhood communities to pick up the slack is not appreciated by the neighbors adjacent. CCSF has a sustainable mission statement and getting people out of cars and onto a high line concept directly into BART is a strong solution towards helping students get to school in a multi-modal solution. The main reason that students commute by car is the availability of copious cheap/free parking. It isn’t that students have no alternatives, driving is just the most convenient. This is just CCSF cashing out by changing land use without changing the status quo of parking. The City should step in and get CCSF to align with transportation policies instead of continuing to pretend it is 1970. I like it! It looks very Norwegian. It’s not useful to tarnish people with terms like “nimby.” I suggest that people who use such terms start to listen to the neighborhoods to understand their concerns and work to help resolve their issues. Blanket false statements about City College students and their needs are unhelpful. Public surveys taken in 2016 indicate that a significant proportion of students at CCSF do use public transit, walk or bike. Walking, biking and public transit work for many, but don’t provide an adequate solution for many others. Making public transit safer, more frequent and more accessible at both ends of the trip is an important way to reduce student reliance on cars. Until those pieces of the puzzle have been addressed, it would be a mistake to remove parking from City College unless you want to be called a name for removing opportunity from vulnerable people trying to improve their lives. Rather than name calling, contribute to the solution. And the solution is not finding more parking in the adjacent neighborhoods. During high enrollment periods, the neighborhoods are overwhelmed by desperate students circling to find a place to park. I’ll admit that sounds legit. This broken city needs to pull it together to build some quality public transportation. Its not that simple Jennifer. Yes, making transit better will attract more riders. But the attractive effects of cheap parking are a bigger factor in choice. And attracting more automobile traffic tends to inhibit people from walking and biking to class. Check out the streets around CCSF, they have inadequate facilities for people outside of cars. I have talked to plenty of neighbors and concerns about developments almost always come down to two top issues: #! street parking, #2 traffic. RPPs can address #1. Reducing parking ultimately handles #2 after an initial pulse of imbalance between supply and demand. the same survey also showed that the reservoir parking is mostly empty most of the day. Its not suburban Walnut Creek. It’s the City. If the school wants more parking – they should work with the City to build a market rate $ garage. And 2. Shouldn’t the CCSF kids be working at real theaters downtown? SF has plenty of them. Isn’t that a much more valuable educational life experience? 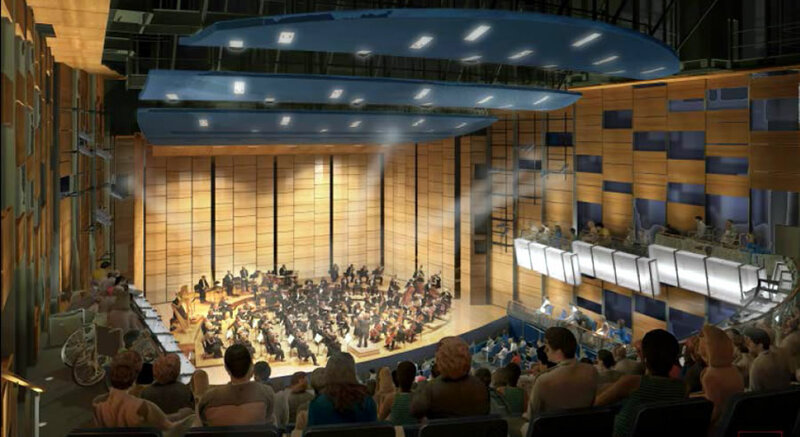 I support the arts but this does not seem like $160 million well spent. Awful. Looks like a huge SF spec house, dangling it’s cheap mid-century-mod elements that so many hipsters seem to like. What happened to the big housing developments? Cant’ we have it all, if we eliminate a lot of superfluous parking? Isn’t there a BART station just across 280? Tom Eliot Fish Design, vetted and LEED Gold, I believe. Was thoroughly vetted. If we get the cars off ocean ave and directly into a garage (yes) will lessen traffic on Phelan and Ocean (win-win) so garage off freeway is a solution, but CCSF / BART / MUNI and SFPUC – Balboa Reservoir all should be pitching in to solve the costs. The BART station across 280 is along a very non-pedestrian friendly zone, making it easier to access via bike and pedestrian separated or with improved walking protected sidewalks is best, therefore the “high-line” approach on the northern side direct from Phelan SW corner of campus down to the long entry to the bart station at the freeway entrance eastbound… could be a very elegant concept with structural supports and shaded/tree-lined route… while removing the existing pedestrian bridge. Different strokes I guess – I think its a nice looking design. 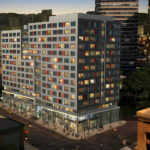 But the folks milling about out front in the rendering is pretty funny. Phelan is a cold wind tunnel most of the time. This looks *so cool* – what an improvement – what an amazing thing to live in a city where things like this are on the burner and you almost forget about them. I’d like to see CCSF operate for 5-10 years in a fiscally- and administratively-responsible fashion before we give them another $160 million to spend on something we may not need. They just came off probation. This seems a little like handing the checkbook to someone who just got out of jail for passing bad checks. Why? Is this a business that needs more customers to make more money? In fact, it is a service, now to be provided free apparently, at the expense of taxpayers. Those who wish to take the free service will come without being recruited or cajoled. and by the way, shouldn’t a city with a “transit first policy” not feel at all obligated to encourage those taking it’s free service to do so via private cars? More hypocrisy in the “special city”.